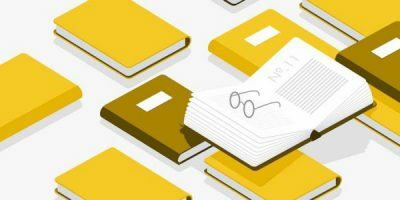 "My Old Publisher Made Mistakes I Wouldn't Tolerate"
Digital formats have opened countless new ways to publication for authors, and if you aren't afraid of taking advantage of those, you can pretty much turn any situation in your favour. Greg White, author of The Pink Marine, came to Reedsy a month ago and told us he had left his publisher shortly after his first book's publication. Immediately, we thought "that's an interesting story for our blog!" So here's Greg sharing his experience with us, and his advice for newer authors. Hi Greg, thanks for being with us today! Let's jump into it: can you tell us a bit about your book and what made you leave your publisher? Thank you for having me, and helping with my book. Although I’ve been a TV writer for a while, The Pink Marine is my first memoir. Yet I always remember that I’m a United States Marine first – and we strive for excellence. My book is important to me and I’m proud of it. 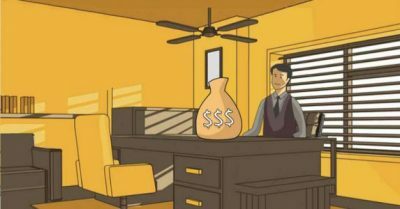 My old publisher made mistakes that I wouldn’t tolerate – so I cancelled the contract. It was difficult; but as I write about in my book, nothing is easy but everything is possible. 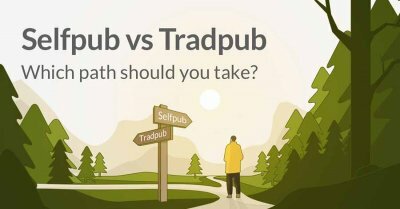 What were the main challenges from the point when you decided to leave your publisher? Reviews. He failed to get reviews in advance of publication, so it will be a struggle for me to convince media outlets to see the book as fresh meat. But we Marines… love a good challenge. I’m getting good media response already. The book is new and I am tireless. I have every confidence that influential bloggers and other reviewers will find it story-worthy. Kirkus reviewed it (non-paid) and they call The Pink Marine “a heartwarming coming of age, inspiring memoir.” There’s a lot to discuss in the book. Not only do I write about my lifelong best friend (that I enlisted with) but also seventy other boys that I served with. I bet you find yourself in one of those characters. It has themes with global relevance and I wrote it with humor. You have actually set up your own imprint and are working with Ingram for the distribution. How did that happen? Yes, my imprint is AboutFace Books! Norman Lear writes my book’s foreword. He gave me my first job writing television. He taught me, among other things, to be nice to everyone. Ingram asked to meet me last year based on the Food Network show I host – food brings us all together, right? The day I left my publisher, I called Ingram to set up the imprint. They were enthusiastic and continue to be incredibly supportive. Ingram led me to Reedsy. Now, you came to Reedsy looking for a typesetter to create a print-ready file for Ingram. How did you choose your typesetter, and how did the collaboration go? I judged a book by its cover. I studied not only the experience and genre of each designer; but also their graphics. My designer Jason Storey clearly was the best decision – his art blew me away. That he, and my book, turned out to be fantastic, is no surprise. Jason is fast, thorough and precise. He’s smart and communicative. Those qualities are very important to me and he represents them all in the outstanding work he did on my book. What are your plans now for The Pink Marine in terms of promotion and marketing? And how is the book selling? I travel a lot and schedule bookstore appearances and local media well in advance. I’m as excited as I am grateful to report that the book is selling well, particularly the e-book. Everyone, and especially every veteran of the armed forces, has a story. This is mine. From my sales reports I notice British readers are snapping it up, proving the themes are universal. Facing challenges, both emotional and physical during our teenage years-- everyone in the world goes through that. In my case they shaved my head and gave me a rifle…. And humor always helps. I maintain a strong social media presence and built a fun and informative website www.thepinkmarine.com. I joined the affiliate program for every bookseller, so when buyers purchase the book from clicking the retailers via my site, I earn a fee (and it costs the buyer nothing extra). Next week I go in the studio to record the book for Audible. Having something new to promote helps. I want the book to exist in every format. Look, if it were possible, I’d bake it into a pie and serve it up personally. 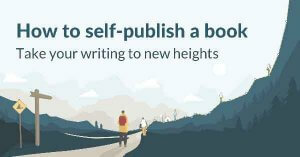 If you had to do it all over again, for a second book, would you look for an agent/publisher or would you go straight to “self-publishing”, using your imprint? 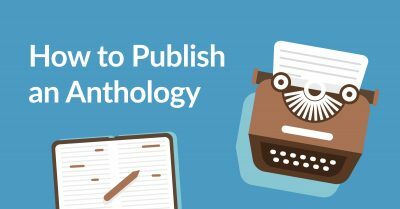 I still have an agent, but unless I’m presented with a powerful marketing plan and generous profit participation from a traditional publisher, I’ll continue to publish under my imprint. Any prejudice or apprehension I had about driving down the self-publishing avenue was swept away in the first week of The Pink Marine’s sales reports. As you’ve experienced both “worlds”, what would be your main piece of advice for a debut author who is just finishing up their first manuscript? Ask for help; take advantage of the vast resources for authors. Through those, build your marketing platform with equal energy (and at the same time) that you’re writing your book. Adopt a U.S. Marine attitude and conquer both the creative and business sides. Relish in the support and camaraderie of other authors -- we are a community. And buy my book. 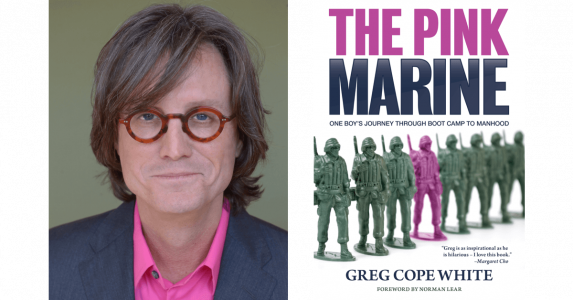 You can find The Pink Marine on Amazon here, and Greg White's website here. 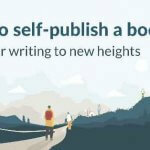 Would you be ready to leave your publisher to self-publish? Or maybe you've done so already? Tell us about your experience, or ask Greg any question in the comments below! I left my publisher Oct. 2015. They had my nonfiction MS for one year and then decided to put it "on hold." It took me less than four months to decide to self-publish. I am a debut author, have a small, but growing platform, and am learning as I go, (read, I'm freaking out a little), but, I feel liberated and empowered! Mostly because I believe in my book, "Salmon: From Market To Plate." Plus I hired a rockin' book designer AND I am not afraid to ask for help. So Greg, here's my Q: My release is scheduled for April 13. When should I send out my press release? Thanks! As a food writer as well, your book sounds fascinating to me. I'd make it avail on Amazon for presale asap. Build the hype and momentum. Get galleys to reviewers while you're in simmer mode -- use your social media platform to get your water boiling, then when your book drops in the pot - excitement will be at a full boil. Press release can go out now. Greg, right on. So here's another question if you don't mind. Clarify "Get galleys to reviewers" please. Is this absolutely essential? Because I feel like I don't have enough time (or resources) to produced bound galleys before the launch. This might be one of those things I should have done a few months ago? Oof. Love that cooking metaphor btw! I missed out on reviews since my former publisher never submitted to them. Once its out, it's too late - so do it anyway since you have a month. (and some take e-books as possible subjoins method). Publishers Weekly's arm BookList reviews independent reviews - submit to them; it's free. After its released, you can hope (as I am) that a news story comes along that your book is a fit for. 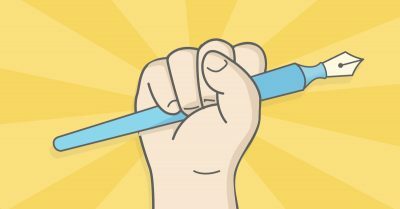 Join HARO (Help A Reporter Out) and you;ll get 3 emails a day from reporters, bloggers, authors etc that are putting out requests for expert help in articles they are writing. You and your book's subject fit several categories. if you are chosen to help them, they usually give you and your book a shoutout. And I wish you full-nets-of-fish success. You're the best Greg. I look forward to reading The Pink Marine! TY! I just looked up Ingram (as I want to start my own imprint as well) and I'm trying to understand the offering better. Is it like Createspace, except that you publish on multiple platforms, if you so choose?